Little Italy in New York City was just about an hour away by train+subway+foot from our apartment in New Jersey. We only lived on the East Coast for two years (due to Highlander’s job), so we tried to take advantage of visiting various Manhattan neighborhoods on the weekends whenever we could. In Little Italy, after eating pizza or pasta dishes, we indulged in different desserts—delicious dolci (sweets)—from cakes and cannoli to coffees and cookies. One of the latter, anisette cookies, looked festive with candy sprinkles. They are soft, crumbly and buttery with a distinct aroma and unique flavor of anise. 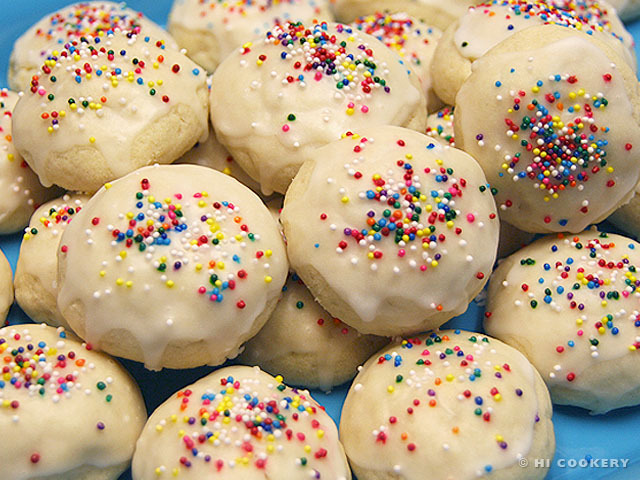 Whenever we bake anisette cookies at home, it brings back good memories of us roaming around Little Italy in New York City. Try these traditional Italian treats for National Anisette Day. In a large bowl, cream the butter and sugar until smooth. Stir in the lemon juice and anise extract. 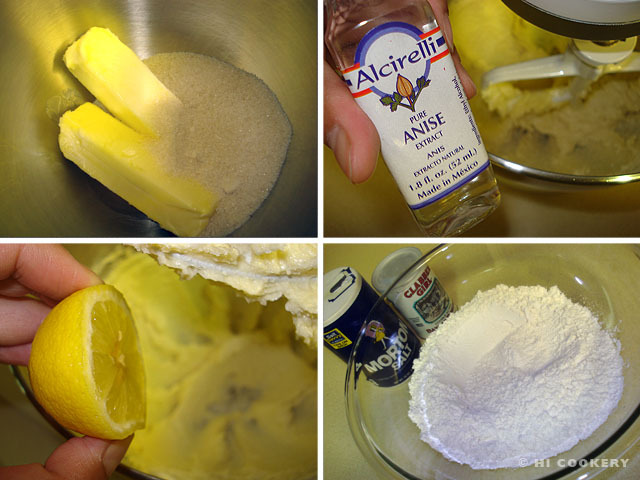 In another bowl, combine the flour, salt and baking powder. Gradually add the dry ingredients to the wet ones and mix to form a cookie dough. 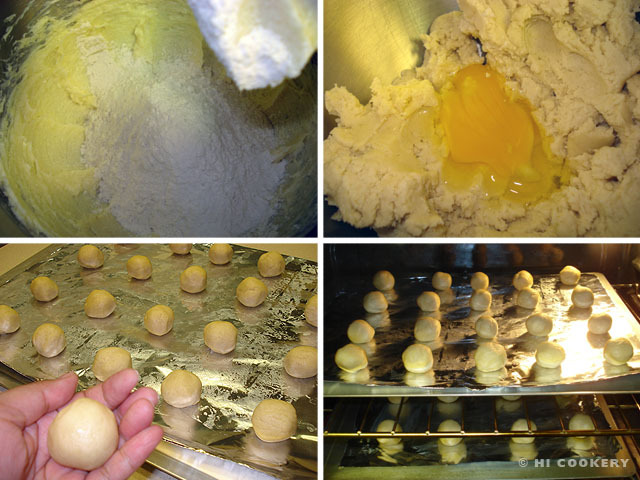 Moisten the cookie dough by beating in the egg. Roll into one-inch balls and place about two inches apart on a foil-lined cookie sheet that has been lightly greased. Bake in a preheated oven at 350 degrees F for 15 minutes. Remove from the oven and cool completely. Meanwhile, prepare the glaze. Set the cookies on a wire rack over a lipped pan beneath it to catch any drips. In a bowl, mix the powdered sugar with milk to make a thick glaze. Gently dip the tops of the cooled cookies with the glaze a few at a time. 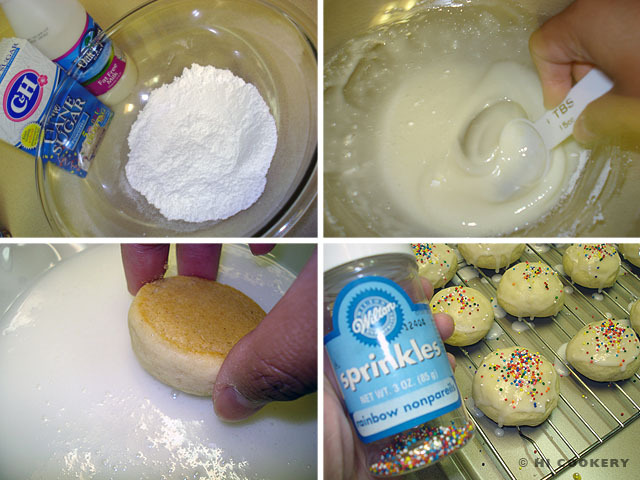 Sprinkle with colorful non-pareils immediately before the glaze dries. Yield: Approximately 3 dozen. Anisette also refers to an Italian anise-flavored liquor. Sprinkle red, white and green non-pareils on top of the glazed cookies for an Italian or Christmas theme. Search our blog for other Italian or cookie recipes.